It’s the fastest sequel alive! Cicada II arrives even before the first Cicada has finished his run. 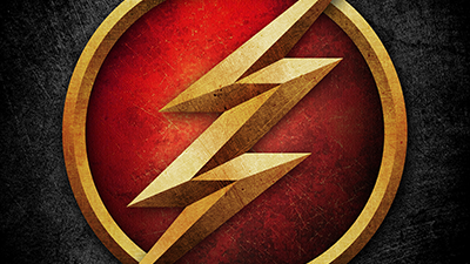 I’d like to give The Flash credit for defying the formula and finally killing off the Big Bad before the end of the season, but I can’t really do that. Yes, by the end of “Time Bomb,” Orlin Dwyer is dead, but not before giving Chris Klein the opportunity to speak in a normal human voice and convey a few believable human emotions. For that, at least, we can be grateful. More than that, however, the creative team has delivered what is probably the best episode of the season to date (which is tough for me to admit since a few weeks ago we saw a man-shark fighting a psychic gorilla). “Time Bomb” works surprisingly well in uniting all its plotlines with a theme that has been at the core of the show since the beginning—and which has driven many longtime viewers crazy time and time again. Secrecy, and its ill effects on a team or a family or a budding romantic relationship, is what it’s all about. For Nora, it’s the secret she’s been keeping from Team Flash from the beginning: that she’s been working with Eobard Thawne on the plan to defeat Cicada. Sherloque has been trying to crack this one for months, and he finally does so after a future version of Thawne’s time sphere shows up in the present, cluing the team in to the identity of Cicada II: future Grace. Sherloque discovers a video log in the old Harrison Wells wheelchair and views it with Gideon, revealing Thawne-as-Wells performing the “timeline is malleable” calculations in handwriting Gideon matches to the second set in Nora’s journal. Even as he learns this, Nora is wrestling with telling her parents the truth, especially after meeting Cicada II’s target Vickie: a meta who inadvertently and unknowingly killed Grace’s parents. Vickie hasn’t let her family in on her secret, which isn’t revealed until a battle with Cicada II puts her daughter in the hospital. 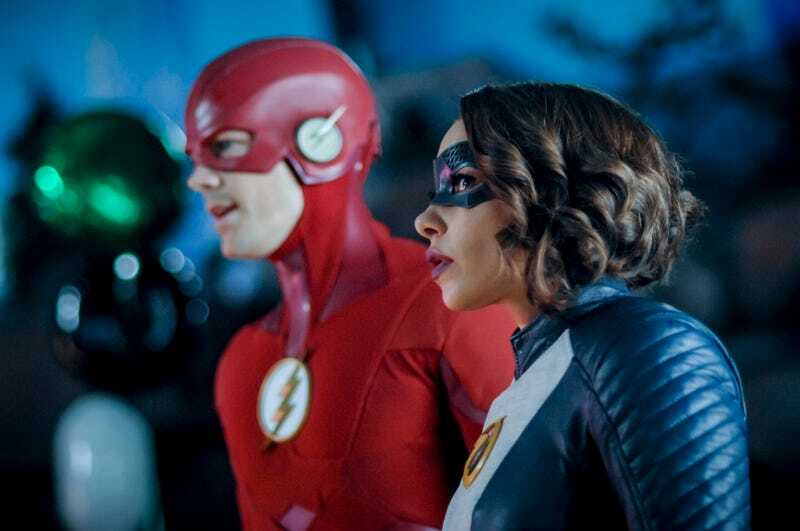 That prompts Barry to give Nora a pep talk on truth-telling that might have been even more effective if he’d let her know there was a time when every single member of Team Flash kept every single thing secret, almost always with disastrous results. On a lighter note, Cisco is reluctant to let his new “social media official” girlfriend Kamilla in on his extracurricular activities, but fortunately Ralph is back from wherever he’s been for the past few episodes to mess with him. By trying to ingratiate Kamilla with “the squad,” Ralph endangers Cisco’s plan to keep his two worlds separate. If Cisco had been watching the rest of the episode, he’d know it was a bad idea to keep the whole meta thing from Kamilla, but on the other hand, new relationships have their own malleable timeline. Besides, if he’s really still planning on taking the cure, maybe this is one secret that can remain under wraps. Cicada II, fueled by the hatred she absorbed from Dwyer while he was in Cicada mode, wants only vengeance, regardless of whether the death of her parents was an accident or not. Since the ten-year-old version of her still exists in this timeline, a myriad of possible solutions present themselves. Give her the cure? Destroy the time sphere? (No one suggests smothering her in her bed like young Hitler, but maybe it will come to that.) Here’s where I thought this was going: a repentant Orlin Dwyer would return to young Grace’s bedside and ease her anger by telling her he’d seen the error of his ways. Alas, it’s not to be. Dwyer does show up during the climactic battle, but the adult Grace is too far gone. She takes Dwyer out with his own dagger, vowing to continue his previous mission of killing all metas before they spread like a plague in her time. Thus the Cicada saga continues in slightly different form (and with a slightly better performance...but only slightly). Afterward at STAR Labs, Nora finally seems ready to spill her secret, but doesn’t get the chance because here comes Sherloque mansplaining the whole thing. They’ve all been puppets in Thawne’s game all along, which is news Barry doesn’t take especially well as he locks Nora up in the pipeline. The true Big Bad has yet to reveal himself (or how he still exists in Thawne-as-Wells form in whatever future he comes from), but the intensity has definitely ramped up heading into the homestretch of season five. I feel like I’ve waited five years for that slow-motion shot of Barry’s costume expanding out of his ring. I am satisfied. Operation Shazam: Cool code name or blatant plug? One more hiatus before the season’s final run of episodes, so let’s meet back here on April 16.